This rite is used by the Nestorians and also by Eastern Catholic bodies -- in Syria, Mesopotamia, Persia, and Malabar -- who have separated from them. The Syrian and Mesopotamian Catholics are now commonly called Chaldeans, or Syro-Chaldeans; the term Chaldean , which in Syriac generally meant magician or astrologer, denoted in Latin and other European languages Syrian nationality and the Syriac or Aramaic language (especially that form of the latter which is found in certain chapters of Daniel ), until the Latin missionaries at Mosul in the seventeenth century adopted it to distinguish the Catholics of the East Syrian Rite from those of the West Syrian Rite, whom they call "Syrians", and from the Nestorians. The last call themselves "Syrians" ( Surayi ), and even "Christians" only, though they do not repudiate the name "Nestorayi", and distinguish themselves from the rest of Christendom as the "Church of the East" or "Easterns", as opposed to "Westerns", by which they denote Latin Catholics, Orthodox, Monophysites, and Protestants. In recent times they have been called, chiefly by the Anglicans, the "Assyrian Church", a name which can be defended on archaeological grounds. Brightman, in his "Liturgies Eastern and Western", includes Chaldean and Malabar Catholics and Nestorians under "Persian Rite ", and Bishop Arthur Maclean of Moray and Ross ( Anglican ) who is the best living authority on the existing Nestorians, calls them "East Syrians ", which is perhaps the most satisfactory term. The catalogue of liturgies in the British Museum has adopted the usual Catholic nomenclature, calling the rite of the East Syrian Catholics and Nestorians the "Chaldean Rite ", that of the South Indian Catholics and schismatics the "Malabar Rite ", and that of the West Syrian Monophysites and Catholics the "Syrian Rite ", a convenient arrangement in view of the fact that most printed liturgies of these rites are Eastern Rite Catholic. The language of all three forms of the East Syrian Rite is Syriac, a modern form of which is still spoken by the Nestorians and some of the Catholics. The origin of the rite is unknown. The tradition -- resting on the legend of Abgar and of his correspondence with Christ, which has been shown to be apocryphal -- is to the effect that St. Thomas the Apostle, on his way to India, established Christanity in Mesopotamia, Assyria, and Persia, and left Adaeus (or Thaddeus), "one of the Seventy", and Maris in charge. To these the normal liturgy is attributed, but it is said to have been revised by the Patriarch Yeshuyab III in about 650. Some, however, consider this liturgy to be a development of the Antiochene. After the Council of Ephesus (431), the Church of Seleucia-Ctesiphon, which had hitherto been governed by a catholicos under Antioch, refused to accept the condemnation of Nestorius, cut itself and the Church to the East of it off from the Catholic Church. In 498 the catholicos assumed the title of " Patriarch of the East", and for many centuries this most successful missionary church continued to spread throughout Persia, Tartary, Mongolia, China, India, developing on lines of its own, very little influenced by the rest of Christendom. At the end of the fourteenth century the conquests of Tamerlane all but destroyed this flourishing Church at one blow, reduced it to a few small communities in Persia, Turkey in Asia, Cyprus, South India, and the Island of Socotra. The Cypriote Nestorians united themselves to Rome in 1445; in the sixteenth century there was a schism in the patriarchate between the rival lines of Mar Shimun and Mar Elia; the Christianity of Socotra, such as it was, died out about the seventeenth century; the Malabarese Church divided into Catholics and Schismatics in 1599, the latter deserting Nestorianism for Monophysitism and adopting the West Syrian Rite about fifty years later; in 1681 the Chaldean Unia, which had been struggling into existence since 1552, was finally established, and in 1778 received a great accession of strength in the adhesion of the whole Mar Elia patriarchate, and all that was left of the original Nestorian Church consisted of the inhabitants of a district between the Lakes of Van and Urmi and Tigris, and outlying colony in Palestine. These have been further reduced by a great massacre by the Kurds in 1843, and the secession of a large number to the Russian Church within the last few years. In the late nineteenth century there was an attempt to form an "Independent Catholic Chaldean Church ", on the model of the " Old Catholics ". This resulted in separating a few from the Eastern Rite Catholics. Takhsa , a priest's book, containing the Eucharistic service ( Qurbana or Qudasha ) in its three forms, with the administration of other sacraments, and various occasional prayers and blessings. It is nearly the Euchologion of the Greeks (see RITE OF CONSTANTINOPLE). Kthawa dhaqdham wadhwathar or Qdhamuwathar , "Before and After", contains the Ordinary of the Divine Office except the Psalter, arranged for two weeks. Dawidha (David), the Psalter, divided into hulali , which answer more or less to the kathismata of the Greeks. It includes the collects of the hulali . Qiryana, Shlika w'Iwangaliyuna , lections, epistles, and gospels, sometimes together, sometimes in separate books. Turgama , explanatory hymns sung before the Epistle and Gospel. Khudra , containing the variables for Sundays, Lent and the Fast of the Ninevites, and other holy days. Kashkul , a selection from the Khudra for weekdays. Geza , containing variables for festivals except Sundays. Abukhalima , a collectary, so called from its compiler, Elias III, Abu Khalim ibn alKhaditha, Metropolitan of Nisibis, and patriarch (1175-99). Ba'utha d'Ninwayi , rhythmical prayers attributed to St. Ephraem, used during the Fast of the Ninevites. Takhsa d'amadha , the office baptism. Burakha , the marriage service. Kathnita , the burial service for priests. Anidha , the burial service for lay people. Takhsa d'siamidha , the ordination services. Takhsa d'khusaya , the "Office of Pardon", or reconciliation of penitents. These last six are excerpts from the Takhsa . For the Nestorians : The Takhsa , in two parts, by Archbishop of Canterbury's Assyrian Mission (Urmi, 1890-92) The Society for Promoting Christian Knowledge has published an English translation of the first part of the Takhsa , both parts "unmodified except by the omission of the heretical names" (Brightman); Dhaqdham wadhwathar , by the same (Urmi, 1894); Dawidha , by the same (Urmi, 1891). For the Chaldean Catholics : 'Missale Chaldaicum", containing the Liturgy of the Apostles in Syriac and Epistles and Gospels in Syriac with an Arabic translation, in Carshuni ( Propaganda Press fol., Rome, 1767). A new and revised edition, containing the three liturgies and the lections, epistles, and gospels was published by the Dominicans at Mosul in 1901. The Order of the Church Services of Common Days, etc., from Kthawa dhaqdham wadhwathar (8vo, Mosul, 1866). "Breviarium Chaldaicum in usum Nationis Chaldaicae a Josepho Guriel secundo editum" (16mo, Propaganda Press, Rome, 1865). "Breviarium Chaldaicum", etc., [8vo, Paris (printed at Leipzig, 1886]. For the Malabar Catholics : "Ordo Chaldaicus Missae Beatorum Apostolorum, juxta ritum Ecclesiae Malabaricae" (fol., Propaganda Press, Rome, 1774). "Ordo Chaldaicus Rituum et Lectiounm", etc., (fol., Rome, 1775). "Ordo Chaldaicus ministerii Sacramentorum Sanctorum", etc., (fol., Rome, 1775). These three, which together form a Takhsa and Lectionary, are commonly found bound together. The Propaganda reprinted the third part in 1845. "Ordo Baptismi adultorum juxta ritum Ecclesiae Malabaricae Chaldaeorum" (8vo, Propaganda Press, Rome, 1859), a Syriac translation of the Roman Order. There are three Anaphorae ; that of Apostles (Sts. Adaeus and Maris), that of Nestorius, and that of Theodore (of Mopsuestia ) the Interpreter. The first is the normal form, and from it the Malabar revision was derived. The second is used by the Chaldeans and Nestorians on the Epiphany and the feasts of St. John the Baptist and of the Greek Doctors, both of which occur in Epiphany-tide on the Wednesday of the Fast of the Ninevites, and on Maundy Thursday. The third is used by the same (except when the second is ordered) from Advent Sunday to Palm Sunday . The same pro-anaphoral part serves for all three. Three other Anaphorae are mentioned by Ebedyeshu ( metropolitan of Nisibis, 1298) in his catalogue, those of Barsuma, Narses, and Diodorus of Tarsus ; but they are not known now, unless Dr. Wright is correct in calling the fragment in Brit. Mus. Add. 14669, "Diodore of Tarsus ". The Eucharistic Liturgy is preceded by a preparation, or "Office of the Prothesis", which includes the solemn kneading and baking of he loaves. These among the Nestorians are leavened, the flour being mixed with a little oil and the holy leaven ( malka ), which, according to the legend, "was given and handed down to us by our holy fathers Mar Addai and Mar Mari and Mar Tuma", and of which and of the holy oil a very strange story is told. The real leavening, however, is done by means of fermented dough ( khmira ) from the preparation of the last Eucharistic Liturgy. The Chaldean Catholics now use unleavened bread. The Introit Psalm (variable), called Marmitha , with a preliminary prayer, varying for Sundays and greater feasts and for "Memorials" and ferias. In the Malabar Rite, Pss. xiv, cl, and cxvi are said in alternate verses by priests and deacons. The "Antiphon of the Sanctuary" ( Unitha d' qanki ), variable, with a similarly varying prayer. The Lakhumara , an antiphon beginning "To Thee, Lord", which occurs in other services also preceded by a similarly varying prayer. The Trisagion . Incense is used before this. In the Eastern Rite at low Mass the elements are put on the altar before the incensing. The Lections. These are four or five: (a) the Law and (b) the Prophecy, from the Old Testament, (c) the Lection from the Acts, (d) the Epistle, always from St. Paul, (e) the Gospel. Some days have all five lections, some four, some only three. All have an Epistle and a Gospel, but, generally, when there is a Lection from Law there is none from the Acts, and vice versa. Sometimes there is none from either Law or Acts. The first three are called Qiryani (Lections), the third Shlikha (Apostle). Before the Epistle and Gospel, hymns called Turgama (interpretation) are, or should be, said; that before the Epistle is invariable, that of the Gospel varies with the day. They answer to the Greek prokeimena . The Turgama of the Epistle is preceded by proper psalm verses called Shuraya (beginning), and that of the Gospel by other proper psalm verses called Zumara (song). The latter includes Alleluia between the verses. The Deacon's Litany, or Eklene , called Karazutha (proclamation). This resembles the "Great Synapte" of the Greeks. During it the proper "Antiphon [ Unitha ] of the Gospel" is sung by the people. The Offertory. The deacons proclaim the expulsion of the unbaptized, and set the "hearers" to watch the doors. The priest places the bread and wine on the altar, with words (in the Nestorian, but not in the Chaldean Catholic Rite ) which seem as if they were already consecrated. He sets aside a "memorial of the Virgin Mary, Mother of Christ" (Chaldean; usual Malabar Rite, "Mother of God"; but according to Raulin's Latin of the Malabar Rite, "Mother of God Himself and of the Lord Jesus Christ "), and of the patron of the Church (in the Malabar Rite, "of St.Thomas"). Then follows the proper "Antiphon of the Mysteries" ( Unitha d' razi ), answering to the offertory. The Creed. This is a variant of the Nicene Creed. It is possible that the order or words "and was incarnate by the Holy Ghost and was made man, and was conceived and born of the Virgin Mary", may enshrine a Nestorian idea, but the Chaldean Catholics do not seem to have noticed it, their only alteration being the addition of the Filioque . The Malabar Book has an exact translation of Latin. In Neale's translation of the Malabar Rite the Karazutha , the Offertory, and the Expulsion of the Unbaptized come before the Lections and the Creed follows immediately on the Gospel, but in the Propaganda edition of 1774 the Offertory follows the Creed, which follows the Gospel. The Kiss of Peace, preceded by a G'hantha , i.e., a prayer said with bowed head. The prayer of Memorial ( Dukhrana ) of the Living and the Dead, and the Diptychs ; the latter is now obsolate among the Nestorians. The Prayer of the Great Oblation with a second memorial of the Living and the Dead, a Kushapa . The Fraction, Consignation, Conjunction, and Commixture. The Host is broken in two, and the sign of the Cross is made in the Chalice with one half, after which the other with the half that has been dipped in the chalice. The two halves are then reunited on the Paten. Then a cleft is made in the Host "qua parte intincta est in Sanguine" ( Renaudot's tr. ), and a particle is put in the chalice, after some intricate arranging on the paten. Communion. The veil is thrown open, the deacon exhorts the communicants to draw near, the priests breaks up the Host for distribution. Then follows the Lord's Prayer, with Introduction and Embolism, and the Sancta Sanctis , and then the 'Antiphon of the Bema" (Communion) is sung. The Communion is in both species separately, the priest giving the Host and the deacon the Chalice. Then follows a variable antiphon of thanksgiving, a post-communion, and a post-communition, and a dismissal. Afterwards the Mkaprana , an unconsecrated portion of the holy loaf, is distributed to the communicants, but not, as in the case of the Greek antidoron , and as the name of the latter implies, to non-communicants. The Chaldean Catholics are communicated with the Host dipped in the Chalice. They reserve what is left of the Holy Gifts, while the Nestorian priests consume all before leaving the church. Properly, and according to their own canons, the Nestorians ought to say Mass on every Sunday and Friday, on every festival, and daily during the first, middle, and last week of Lent and the octave of Easter. In practice it is only said on Sundays and greater festivals, at the best, and in many churches not so often, a sort of "dry Mass" being used instead. The Chaldean Catholic priests say Mass daily, and where there are many priests there will be many Masses in the same Church in one day, whch is contrary to the Nestorian canons. The Anglican editions of the liturgies omit the names of heretics and call the Anaphorae of Nestorius and Theodore the "Second Hallowing" and "Third Hallowing". Otherwise there are no alterations except the addition of Words of Institution to the first Anaphorae. The recent Catholic edition has made the same alterations and substituted "Mother of God" for "Mother of Christ". In each edition the added Words of Institution follow the form of the rite of the edition. The prayers of the Mass, like those of the Orthodox Eastern Church, are generally long and diffuse. Frequently they end with a sort of doxology called Qanuna which is said aloud, the rest being recited in a low tone. The Qanuna in form and usage resembles the Greek ekphonesis . The vestments used by the priest at Mass are the Sudhra , a girded alb with three crosses in red or black on the shoulder, the Urara ( orarion ) or stole worn crossed by priests, but not by bishops (as in the West), and the Ma'apra , a sort of linen cope. The deacon wears the Sudhra , with an urara over the left shoulder. The nucleus of this is, as it is usual, the recitation of the Psalter. There are only three regular hours of service (Evening, Midnight, and Morning) with a rarely used compline. In practice only Morning and Evening are commonly used, but these are extremely well attended daily by laity as well as clergy. When Nestorian monasteries existed (which is no longer the case) seven hours of prayer were the custom in them, and three hulali of the Psalter were recited at each. This would mean a daily recitation of the whole Psalter. The present arrangement provides for seven hulali at each ferial night service, ten on Sundays, three on "Memorials", and the whole Psalter on feasts of Our Lord. At the evening service there is a selection of from four to seven psalms, varying with the day of the week, and also a Shuraya , or short psalm, with generally a portion of Psalm 118 , varying with the day of the fortnight. At the morning service the invariable psalms are 109 , 110 , 103 (1-6) , 112 , 92 , 148 , 150 , 116 . On ferias and "Memorials" Psalm 146 is said after Psalm 148 , and on ferias Psalm 1:1-18 , comes at the end of the psalms. The rest of the services consist of prayers, antiphons, litanies, and verses ( giyura ) inserted, like the Greek stichera , but more extensively, between verses of psalms. On Sundays the Gloria in Excelsis and Benedicte are said instead of Psalm 146 . Both morning and evening services end with several prayers, a blessing, ( Khuthama , "Sealing" ), the kiss of peace, and the Creed. The variables, besides the psalms, are those of the feast or day, which are very few, and those of the day of the fortnight. These fortnights consist of weeks called "Before" ( Qdham ) and "After" ( Wathar ), according to which of the two choirs begins the service. Hence the book of the Divine Office is called Qdham u wathar , or at full length Kthawa daqdham wadhwathar , the "Book of Before and After". the Fast of Mart Mariam ( Our Lady ), from the first to the fourteenth of August. The other Sacraments in use among the Nestorians are Baptism, with which is always associated an anointing, which as in other eastern rites answers to Confirmation, Holy Order and Matrimony, but not Penance or Unction of the sick. The latter appears to be unknown to the Nestorians, though Assemani ("Bibliotheca Orientalis", pt. Ii, p. cclxxii) considers it might be shown from their books that its omission was a modern error. The Chaldean Catholics now have a form not unlike the Byzantine and West Syrian. The nearest approch to Penance among the Nestorians is a form, counted as a sacrament, for the reconciliation of apostates and excommunicated persons, prayers from which are occasionally used in cases of other penitents. Assemani's arguments (ibid., cclxxxvi-viii) for a belief in Penance as a Sacrament among the ancient Nestorians or for the practice of auricular confession among the Malabar Nestorians are not conclusive. The Chaldeans have a similar form to that of he Latin Rite. The Nestorians omit Matrimony from the list, and according to Ebedyeshu make up the number of the mysteries to seven by including the Holy Leaven and the Sign of the Cross, but they are now rather vague about the definition or numeration. The only other rite of any interet is the consecration of churches. Oil, but not chrism, plays a considerable part in these rites, being used in Baptism, possibly in Confirmation, in the reconciliation of apostates, etc., in the consecration of churches, and the making of bread for the Eucharist. It is not used in ordination or for the sick. There are two sorts of oil; the one is ordinary olive oil, blessed or not blessed for the occasion, the other is the oil of he Holy Horn. The last, which, though really only plain oil, represents the chrism (or myron ) of other rites, is believed to have been handed down from the Apostles with the Holy Leaven. The legend is that the Baptist caught the water which fell from the body of Christ as His baptism and preserved it. He gave it to St. John the Evangelist , who added to it some of the water which fell from the pierced side. At the Last SupperJesus gave two loaves to St. John, bidding him keep one for the Holy Leaven. With this St. John mingled some of the Blood from the side of Christ. After Pentecost the Apostles mixed oil with the sacred water, and each took a horn of it, and the loaf they ground to pieces and mixed it with flour and salt to be the Holy Leaven. The Holy Horn is constantly renewed by the addition of oil blessed by a bishop on Maunday Thurday. 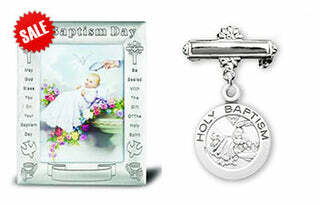 The baptismal service is modelled on the Eucharistic. 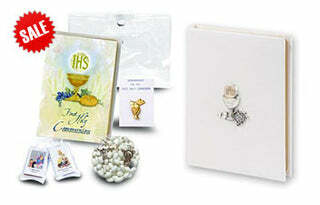 The Mass of the Catechumens is almost identical, with of course appropriate Collects, psalms, Litanies, and Lections. After the introductory Gloria , Lord's Prayer , Marmitha (in this case Psalm 88) and its Collect, follow the imposition of hands and the signing with oil, after which follow an Antiphon of the Sanctuary and Ps. xliv, cix, cxxxi, with giyuri , Litanies, and Collects, then the lakhumara , Trisagion, and Lections (Epistle and Gospel ), and the Karazutha , after whch the priest says the prayer of the imposition of hands, and the unbaptized are dismissed. An antiphon answering to that "of the mysteries" follows, and then the Creed is said. The bringing forward of the Holy Horn and the blessing of the oil take the place of the Offertory. The Anaphora is paralleled by Sursum corda, Preface, and Sanctus, a Nithi Mar , or Epiklesis, upon the oil, a commixture of the new oil with that of the Holy Horn, and the Lord's Prayer. Then the font is blessed and signed with the holy oil, and in the place of the Communion comes the Baptism itself. The children are signed with the oil on the breast and then anointed all over, and are dipped thrice in the font. 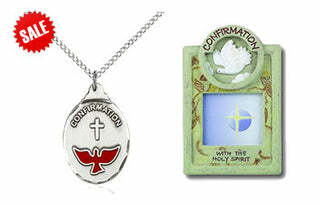 The formula is: "N., be thou baptized in the name of the Father, in the name of the Son, in the name of the Holy Ghost. Amen." Then follows the post-baptismal thanksgiving. Confirmation follows immediately. There are two prayers of Confirmation and a signing between the eyes with the formula: "N., is baptized and perfected in the name, etc." It is not quite clear whether oil should be used with this signing or not. Then any oil that remains over is poured into the Holy Horn, held over the font, and the water in the font is loosed from its former consecration with rather curious ceremonies. The Chaldean Catholics have added the renunciations, profession of faith, and answers of the sponsors from the Roman Ritual, and anoint with chrism. The marriage service ( Burakha , "Blessing" ) has nothing very distinctive about it, and resembles closely the Byzantine, and to some extent the Jewish rite. The orders of the Nestorians are those of reader ( Qaruya ), subdeacon ( Hiupathiaqna ), deacon ( Shamasha ), priest ( Qashisha ), archdeacon ( Arkidhyaquna ) and bishop ( Apisqupa ). The degree of archdeacon, though has an ordination service of its own, is only counted as a degree of the presbyterate, and is by some held to be the same as that of chorepiscopus ( Kurapisqupa ), which never involved episcopal ordination among the Nestorians. When a priest is engaged in sacerdotal functions, he is called Kahna (i.e., lereus ; sacerdos ) and a bishop is similarly Rab kahni (Chief of he Priests archiereus, pontifex ). Quashisha and Apisqupa only denote the degree. Kahnutha , priesthood, is used of the three degrees of deacon, priest, and bishop. The ordination formula is: "N. has been set apart, consecrated, and perfected to the work of the diaconate [or of the presbyterate] to the Levitical and stephanite Office [or for the office of the Aaronic priesthood ], in the Name, etc., In the case of a bishop it is : "to the great work of the episcopate of the city of . . ." A similar formula is used for archdeacons and metropolitans. The Consecration of churches ( Siamidha or Qudash Madhbkha ) consists largely of unctions. The altar is anointed all over, and there are four consecration crosses on the four interior walls of the sanctuary, and these and the lintel of the door and various other places are anointed. The oil is not that of the Holy Horn, but fresh olive oil consecrated by the bishop.